knifed in both thighs by the in-laws | Book Fight! Welcome to another week in our Summer of Spouses season, in which we read and discuss the work of writers who are married to (or otherwise partnered with) more famous authors. We’re interested in how those relationships work, how they collaborate with each other, or don’t, and whether it ever becomes frustrating to feel as if you’re working in someone else’s shadow. 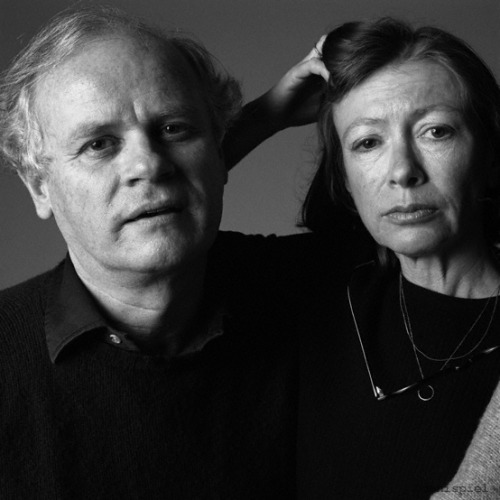 This week the couple is a happy one, at least by most accounts: Joan Didion and her husband John Gregory Dunne. For our reading, we checked out one of Dunne’s essays about Hollywood, in which he discussed the work he and Didion did as screenwriters and recalled some of their more comical and frustrating moments inside that world. In the second half of the show we visit that bastion of internet wisdom, Yahoo Answers, in search of helpful marriage and relationship advice. Categories: Episodes, Summer of Spouses | Tags: Barrelhouse magazine, book podcast, how rich people write about money, john dunne and joan didion, john dunne is his own person, knifed in both thighs by the in-laws, podcasts about contemporary literature, should I get married?, should I stay married?, writer couples, writer marriages, yahoo answers marriage advice | Permalink.